You might be hosting some friends on New Year’s, and you might need to feed them some little somethings. These roasted figs are some somethings to get behind. They’re easy and elegant, salty and sweet and a little herb-y, too. Great with champagne. You know, just in case. This recipe is a snap to make, and the figs are delicious both warm and at room temperature. Be sure to leave out an empty bowl for the discarded fig stems. Preheat the oven to 375ºF. 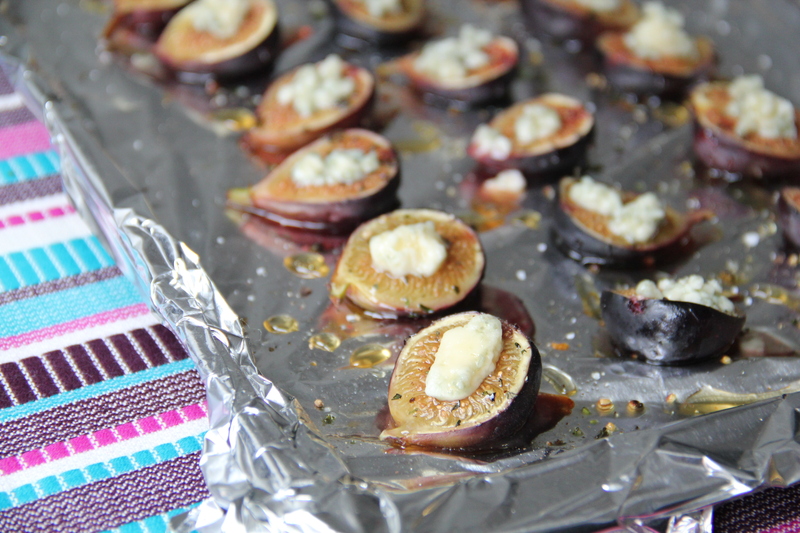 Cover a cookie sheet with tin foil (this makes for easy clean up), and lay the figs on the sheet, cut side up. Drizzle the olive oil over the figs, lightly coating each one, and then sprinkle each with a bit of thyme, salt and pepper. Place the figs in the oven and bake for about 15 minutes, until figs look slightly puckery and juice is beginning to leak from the fruit. Remove from the oven. 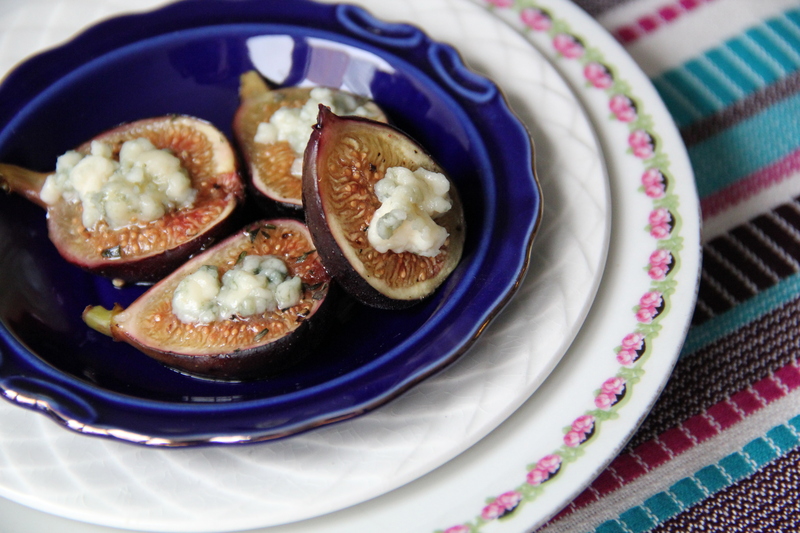 While the figs are still warm, place a few crumbles of gorgonzola on top of each fig. Once all of the figs have been gorgonzola-ed, drizzle the honey lightly on top. Remove figs to a serving platter. Enjoy!